GO PLACES AND LEARN STUFF TRAVEL SERIES. 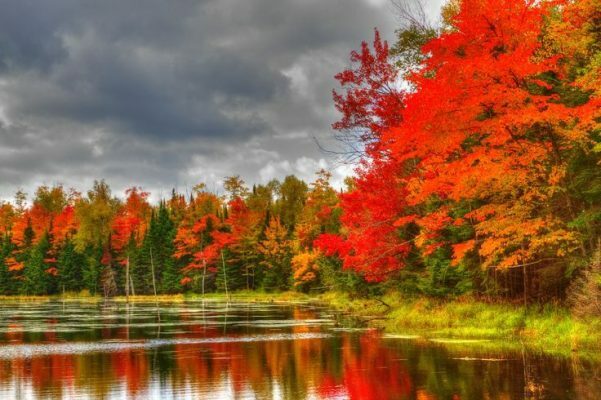 Lead by Jill Hunger, an experienced geology teacher and American history buff, this motor coach journey includes some of the most glorious fall colors in America. Highlights include: Adirondack Mountains, Lake Placid, NY Olympic Ice Center, Fort Ticonderoga, Morgan Horse Farm, Ben & Jerry’s Ice Cream Factory, Queechee Gorge, Lake Champlain Dinner Cruise, Trapp Family Lodge lunch, Green Mountain Rail journey, Stowe Mountain Gondola ride, Niagara Falls, NY, Pro Football Hall of Fame, Vermont Teddy Bear Company, Waybury Inn lunch (Bob Newhart Show), Montpelier, Maple Syrup Farm, Great Lakes Science Center, Rock & Roll Hall of Fame, local step-on guides, and five days in beautiful Vermont. Opportunities for hiking, shopping and much more is included. Includes eleven breakfasts, two lunches, two suppers, eleven nights lodging, deluxe motor coach transportation and a tour guide. Contact us for a detailed itinerary. Optional cancellation insurance is available for $185/person based on double accommodations. Moderate walking with some optional long walks and hikes on uneven ground. A $250 deposit is required by July 1, 2018. Balance is due August 1, 2018. This trip does NOT require a Passport – we will NOT be entering Canada. This is an “integrated” trip with both “general public” travelers and special needs travelers and chaperones. Departures from LaValle, Reedsburg, Baraboo, Sauk City, Lodi, Windsor, Madison & Milwaukee.